“I can YouTube my transformation for free”. If you could you would have already done it. If you could, the whole world would be healed/fixed/sorted and thriving successfully already. They’re not. The DIY culture is cute up to a certain point, but when it comes to mastery it’s just ridiculous. Only amateurs think they can do everything themselves. 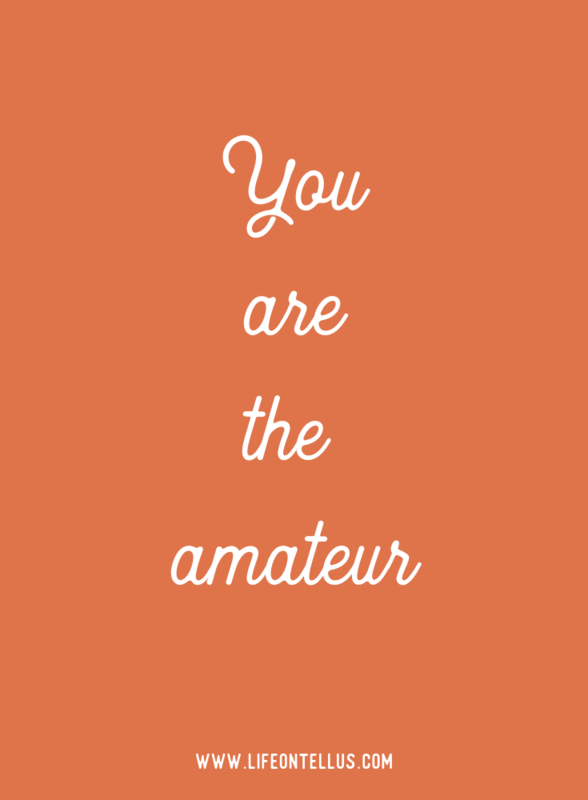 Only amateurs think they already know it all. Only amateurs believe that free equals quality. “If you think it's expensive to hire a professional wait until you hire an amateur”. You’re not only hiring an amateur but you’re hiring the worst kind. The kind that will talk back, that will hit the snooze if it’s inconvenient and who won’t show up when you need it the most. Talk about a waste of time and money! We fall into this trap again and again. Time to renovate the kitchen? How hard can it be? Plumbing? Hubby can do it. Let’s YouTube it. Invitations cards for a big business event? Hey, let’s YouTube it from one of those crafty channels! Oh no you didn’t. Unless you’re Martha Stewart please don’t. Pony up and pay for a pro service to do it for you. How many times have we heard someone say that or said it ourselves? We consume information today like it’s no ones business. We read, we research, we watch, we like and comment on posts, and we troll the feeds of others with throwing out more information and sharing our opinions left and right. But if consuming information was all we needed to have a deep transformation from within, then why are so many people still stuck, still struggling, still suffering? Information without implementation is for amateurs. And implementation is where you take it up a notch. It’s where change happens. At the level when you not only have to know it intellectually but actually embody it. Becoming it. Here’s where the masses never get to because they’re still believing that ”I can YouTube it for free”. People serious about having a transformation are humble enough about the fact that they haven’t figured it out themselves. They recognize expertise and have deep respect for others intellectual property. They understand that Mr. Miyagi was the bridge for Daniel to go from karate kid wannabe to winning it all. They understand that when you invest in a transformative experience it’s not a cost but an investment of a lifetime. People who understand mastery know that you have to invest in mentoring to fast track your results so you don’t waste years running around in circles. They get that it’s an investment in yourself, in a journey to become your best Self. The best version of you. Someone you’ll never get to meet unless you commit to mastery. 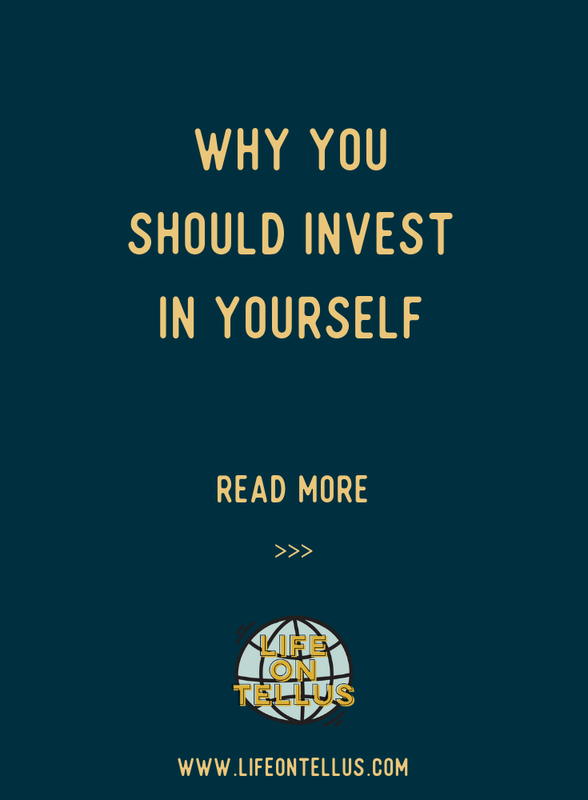 So let’s talk about what happens when you invest in yourself. Because the truth is when you put skin in the game you have to show up differently. You have to actually do the work. You have to receive feedback and criticism. You have to immerse yourself deeper than before and you are surrounded by others who are seeking excellence which will push you to rise to a higher level of conversation. You can’t YouTube yourself to those corners of closed discussions. That exchange happens when you meet eye to eye. When you have conversations. When someone challenges your thinking and push you to grow beyond what you thought was possible. When you invest in you are betting on yourself big time. Gulp. Yeah. Welcome to your fear. Every crap story you’ve been telling yourself about why you haven’t reached your goals yet is exposed. You won’t be able to hide anymore. Because you’ll have skin in the game you will be forced to show up and do the work like never before. Is it gonna be hard? Hell yes. Is it gonna challenge you so you wanna quit every single day? Yup. It will take all you’ve got and more. No more passive watching and thinking ”I’ve got this” but actually realizing humbly that ”I actually know nothing”. Waking up to the insight that you are a beginner. Here’s where the real journey begins. You’ll be pushed out of your little bubble and you’ll be confronted with your resistance to change. You’ll be awakened to the force of your ego. But it also means you’ll grow and expand like never before. You’ll experience an up leveling in mindset like never before. Mastery baby. Welcome aboard to the world of magic. To the Tellus where the impossible happens. To the world where you become extraordinary and you blow your own mind. This is what truly happens when you invest in yourself.